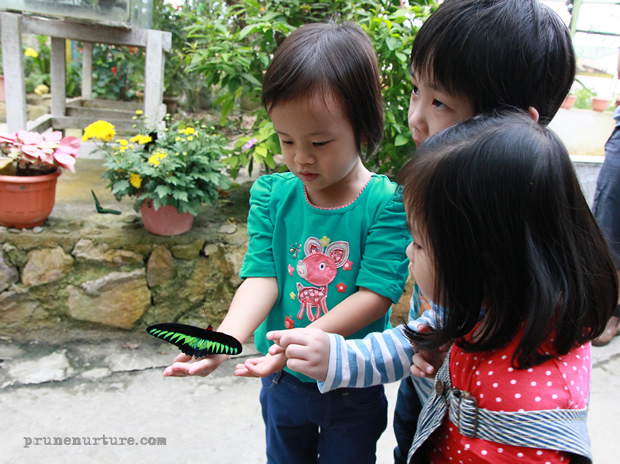 After our nature discovery tour, we asked our tour guide to drop us at the Butterfly Farm. 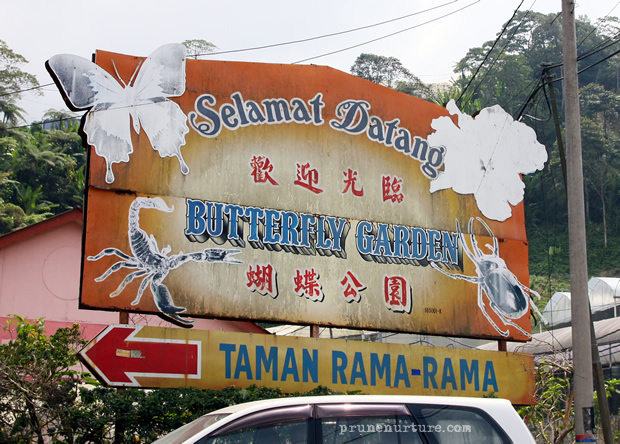 However, he recommended us to visit the Butterfly Garden which was next to Butterfly Farm and we followed his advice. 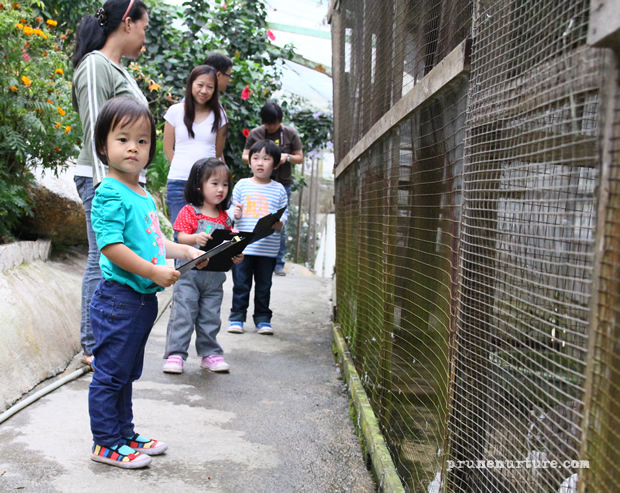 For only 5 RM for each adult, 2 RM for each child (child below five is free), we saw many reptiles, insects, animals, plants and flowers in this small enclosure. Despite the place being a little rundown, we (especially the children) had a great time. 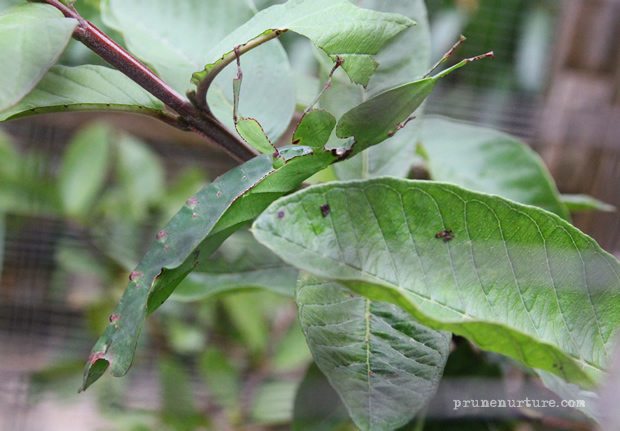 For the very first time, I saw leaf frogs, giant sized grasshoppers, stick insects and leaf insects. The entrance led us down a flight of stairs. Dot noticed a big, seemingly lifeless butterfly on the ground. She touched it and it moved. Jay picked it up, placed it on his hand and passed it to Dot. After a while, Dot passed it to our brave little girl, Hannah. 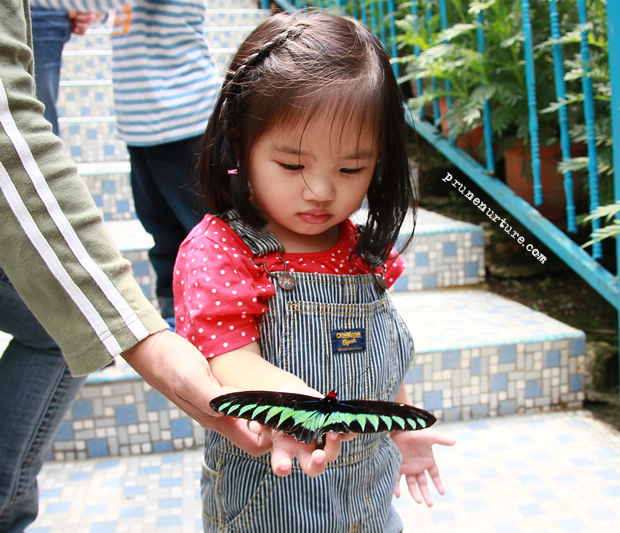 The children spent quite some time with the butterflies and all of them had their share of time with this winged insect. Hope the butterfly was not too distressed by all the attention. 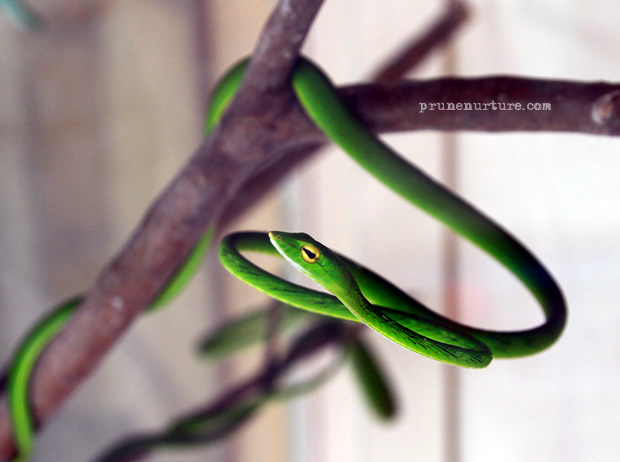 I find this snake is very interesting. 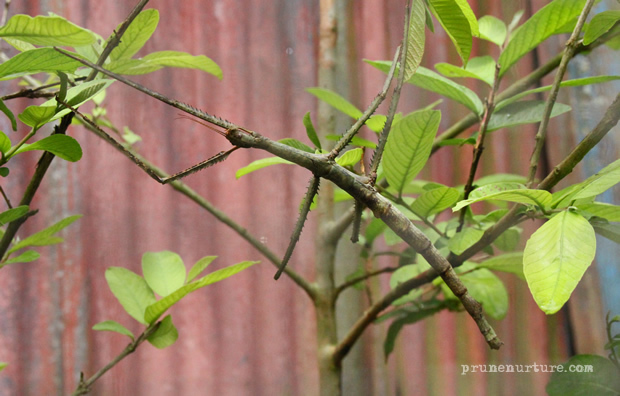 It is actually very small and fixates itself on the twig without any movement, just like this picture motionless. 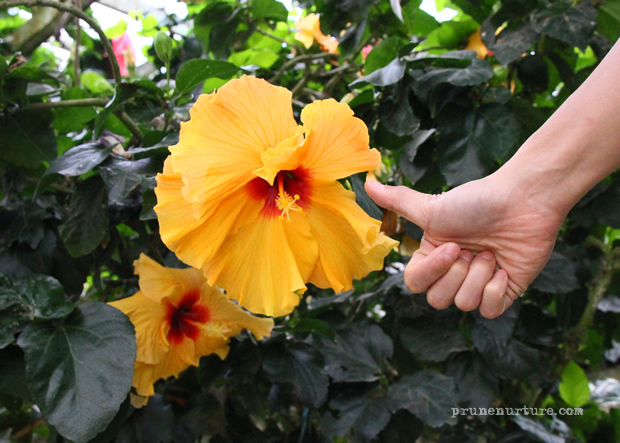 Hibiscuses are really large in this garden. It was my first time seeing such big flowers, bigger than the palm of my hands. 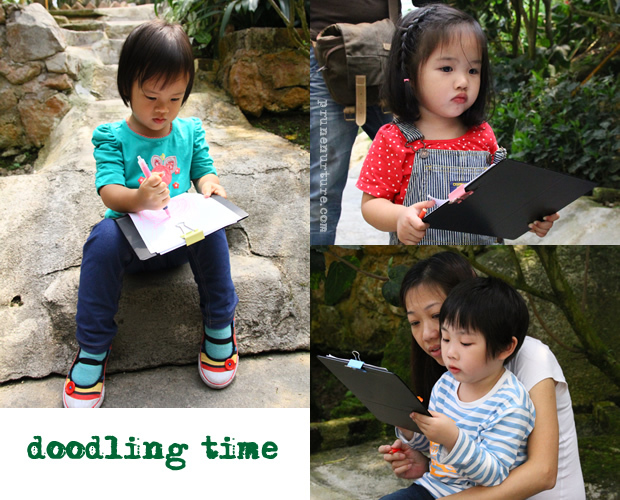 Kelly was so kind to prepare a board with papers for each child to doodle and draw during this trip. The children looked so “studious” with the board and papers in their hands. Dot drew the ants and guinea pig at the Butterfly Garden. Can you spot anything special in this picture? The children were curious about all things – a little buzzing bee caught their attention and their eyes just followed where the bee flew. Hannah and Dot had a chance to have a quick sniff of the red rose. 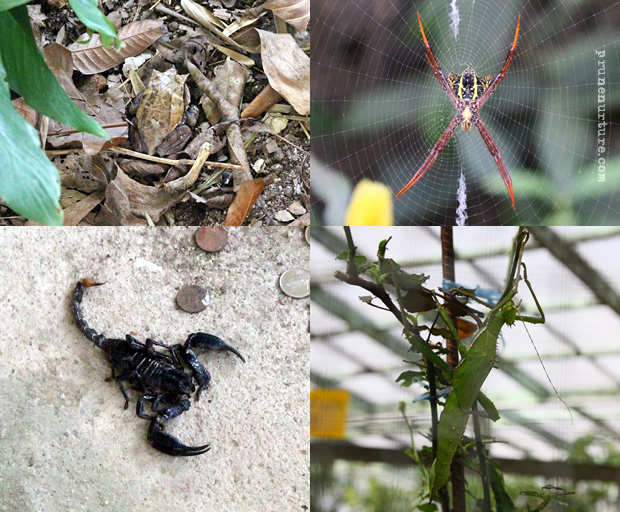 Some amazing creatures that I saw for the first time – leaf frog and the giant grasshopper. Can you spot them in the pictures above? This place was one of the highlights for the children. It was a worthwhile place to visit where we could see many creatures that we could hardly see in the city. 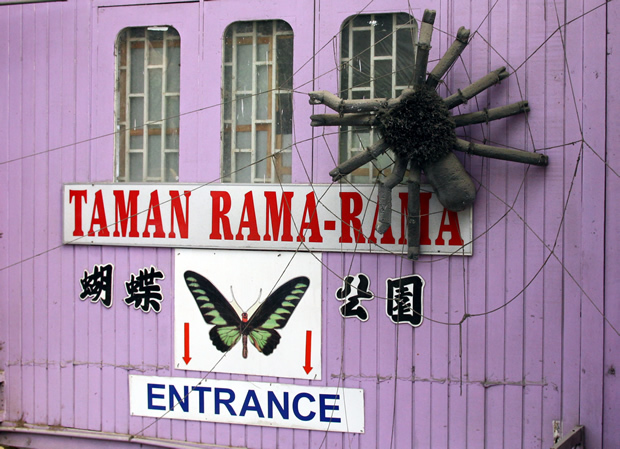 Hi, I would like to use one of your photos for a module on insect tourism. 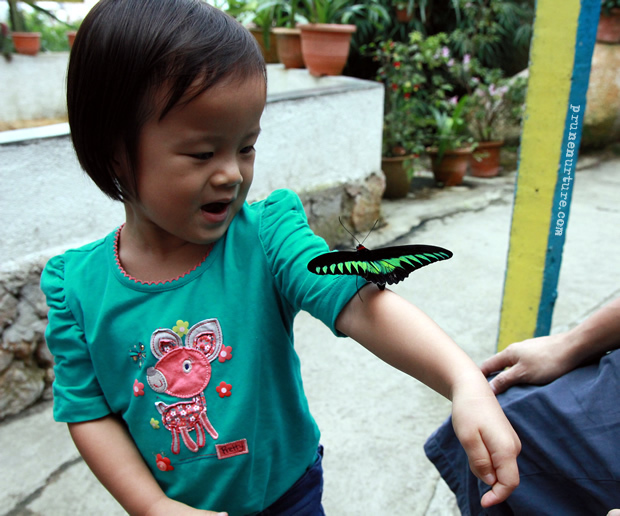 Just to show that butterflies excellent organisms to educate little children on environmental awareness. You can contact me at aqilahaarahman@gmail.com. Thank you!